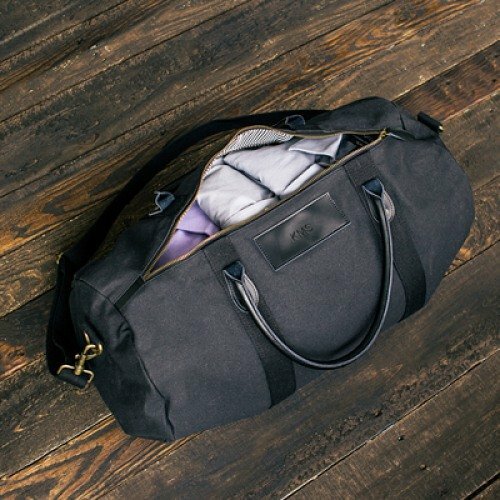 This handsome personalized canvas and leather duffle bag is the perfect practical gift for any man who loves to travel. Each bag features an embossed monogram design accented with leather straps, an adjustable shoulder strap, and a striped interior. Perfect for groomsmen and any other special man in your life.